Are you in search for some awesome Instagram Feed Ideas and learn how to get noticed on Instagram? Do you want your Instagram feed to look something like this? Every time I discover someone new on Instagram, I go on their profile and analyze it in hope to find some cool Instagram theme ideas. Instagram is one of the biggest Social-Media networks. 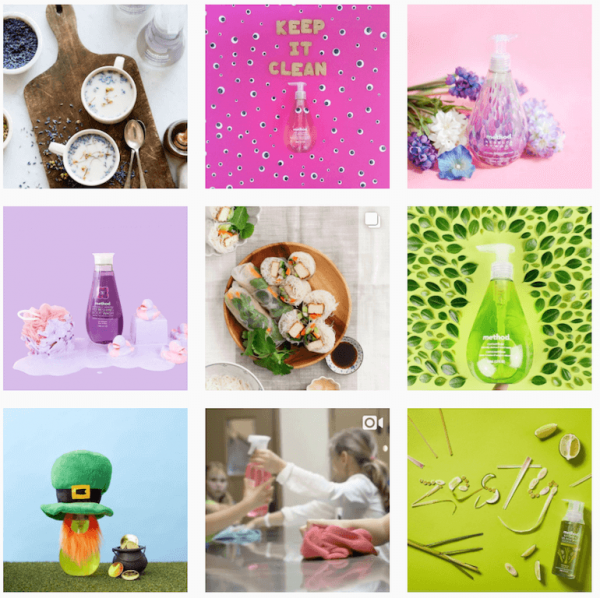 With more than 800+ million daily users and 25 million advertisers, today we can say that Instagram is a must for almost every business out there. Just posting random photos, videos or Boomerangs on Instagram won’t make any difference for your brand presence or even your business. 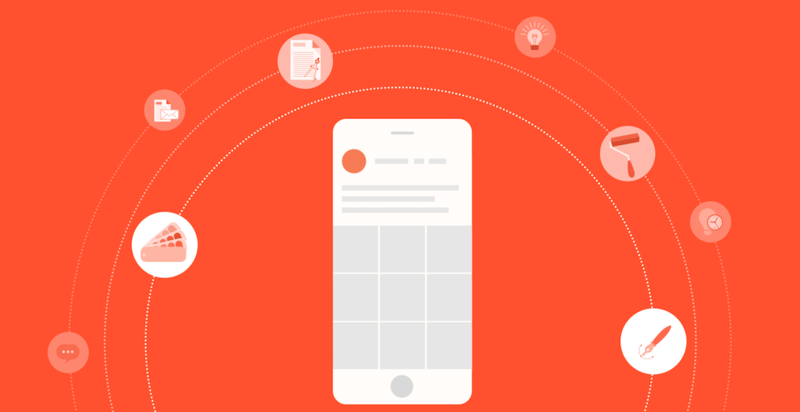 I believe that you have already heard about how important a strategy for Instagram is, and I bet that you’ve also read on our blogs about how you can easily design and launch Instagram Ad Stories or how to create Instagram Ads using our templates. 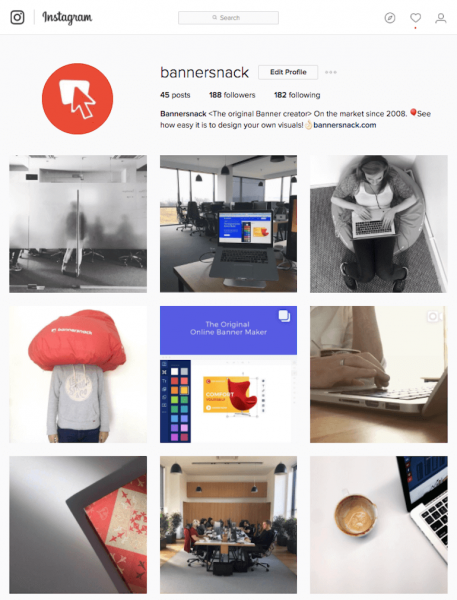 If you are looking to work with an Instagram Story or Instagram post creator I recommend you to try our app – Bannersnack. But in this article, I want to share with you some interesting Instagram feed tips that will teach you how to get a good Instagram feed and how to get more likes and followers on Instagram. Before we even start talking about how to get the perfect Instagram feed we need to start with research. That means that before we make the first step, we must understand why we’re doing it, what is our purpose with it and how we want to do it. Whether you start from a few elementary questions or you go on the basic path, it’s important for your marketing strategy to start with the research. Let’s say that you don’t know what an Instagram feed is but you’ve heard a lot of people and Social-Media marketing specialists talking about it. An Instagram feed represents the number of pictures you can see on your Instagram Profile. Just go to your profile and scroll through your feed, this is your Instagram feed. But why do you need to improve your Instagram feed? How is this relevant for your strategy on this Social-Media platform? Or. maybe you want to start an influencer campaign on Instagram or even launch an advertising campaign. It depends on what your purpose using Instagram as a marketing channel is. Some Social-Media specialists say that Instagram is used to engage with people, and I agree 100%, but at the end of the day, for us, marketers and small business owners, it should be a channel that drives results. Even if we talk about conversions, clients, leads, web traffic or brand awareness. If we don’t have results, why are we even using it? If you want to make your Instagram business account look good you need to start from what you have now. Go to your profile (this only works for the one who have an Instagram business account) and tap the Analytics icon from the top right of your screen. Then tap the “See More” option in “Top Posts” and select in filters: 2 years and one of the results you want to see between: Impressions, Reach, Engagement, Likes, Comments and Saved. Then tap the “Apply” and here you will see all the best photos and videos that bring you the results you want. Now look at them, analyze them and see which one of them was the best. This will help you have a start on your Instagram feed. Because you already know what people that are following you like and what they don’t. Then go to your competitor’s Instagram profile and analyze every one of them. Just look at how many comments they have, how many likes and how many times they post on Instagram. Go to their profile and scroll through their feed. 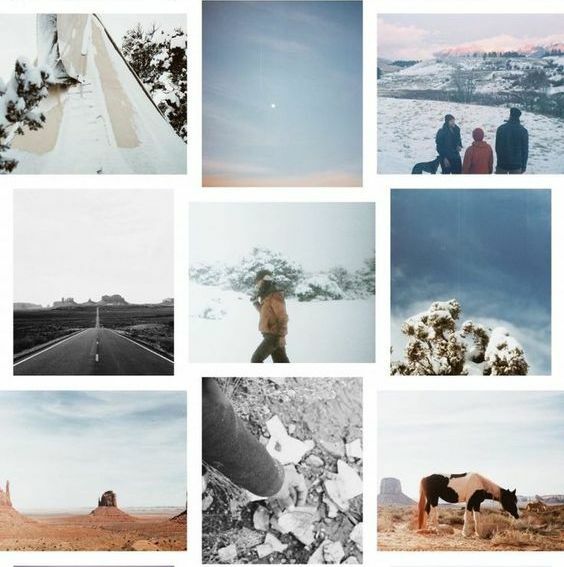 Find out what makes their feed look so good and steal some Instagram ideas. 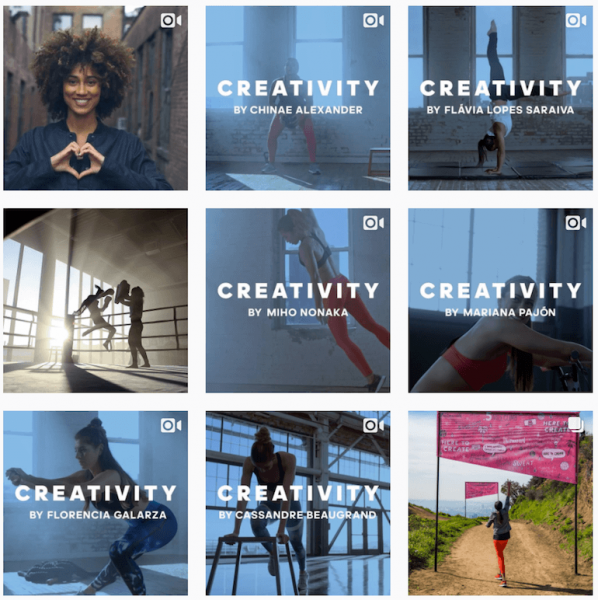 Now that you know who you are, what your competition does and how you can start creating an awesome feed using these Instagram aesthetics ideas, let’s move on to the practical strategy. Here are a few cool things to post on Instagram so you can get a golden feed. 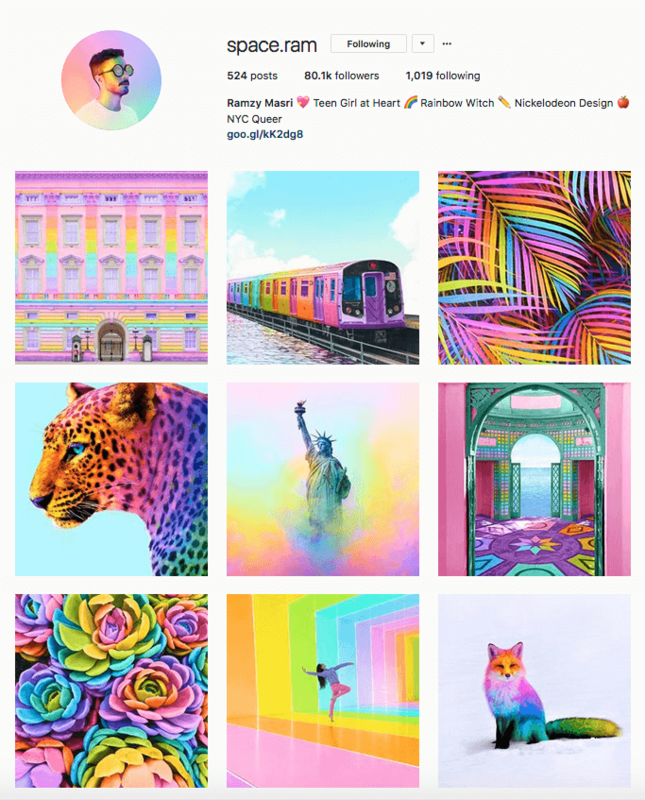 Using a theme will help you post cool things on Instagram. Not only something cool that will bring you likes and comments but something that will also help you stay close to your brand and give your audience a sense of what’s coming next. Whether it’s a light theme or a dark theme, you can choose an overall tone for your pictures and stick to it by applying the same filters. 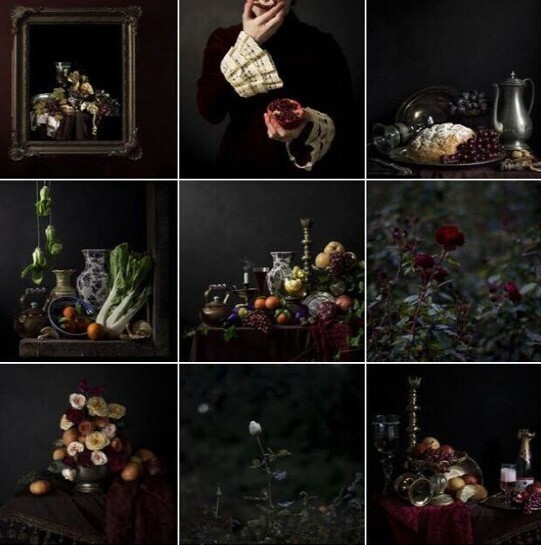 A seasonal theme is something that you use only for a limited frame of time. It can be a sales promotion, a campaign or even an important event like Christmas, Easter or Black Friday. What matters is that you show your community that you are now in an important season and you want them to join you. Adidas has an awesome Instagram aesthetic. Because is letting their followers know about their campaign, for which they invited a few sports athletes to tell them what creativity is for them, using a hashtag #heretocreate. They’ve also created thumbnails where the main focus is on the word CREATIVITY. 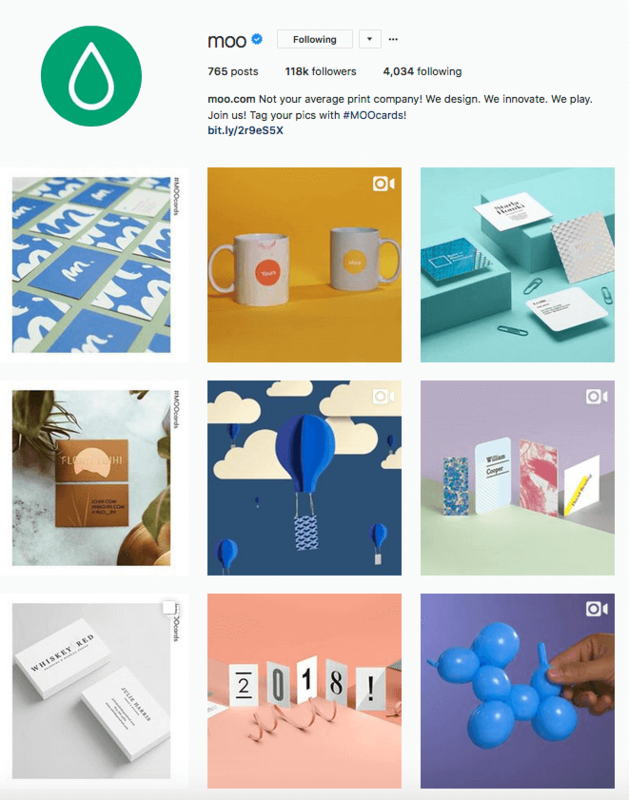 Another Instagram feed idea is using your brand identity. I’m not talking about using your logo, design elements or other graphic icons aggressively. 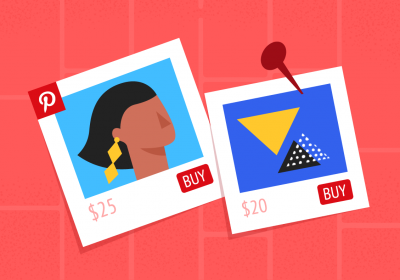 I’m talking about looking at your product and service and finding the unique value proposition that can make your Instagram feed cool. For example, Method is promoting their products by using vibrant colors with clean lines and bold patterns. The funny thing is that if you read their bio, it’s exactly how I describe them “we love vibrant colors, clean lines, bold patterns + delightful surprises. this is our happy place.” and this is all about their Instagram feed. Another thing is that they are using their product in different contexts that show the best parts of it. They make you want that product right now because it’s so cool and you want to photograph it too. I challenged myself to start creating photos on my personal Instagram that are very colorful and also vibrant. I’m still learning new things from Matt Crump or even from brands like Methodhome, but it’s very hard to keep the track of this challenge. The interesting thing I found is that it makes me unique and special for my followers. A lot of them told me that every time I post something and it appeared on their timeline, they already knew that it was one of my photos even before they looked at the username. So this is the power of using unique colors. A great Instagram Grid example I can give you is the artist @Oakandink who uses his Instagram to post colors in a certain palette. For example, at the moment I’m writing this article he is publishing red colors. He matches his Instagram feed with PANTONE’s entire catalog. And it’s such the perfect Instagram feed if you want to start playing around with colors. There was a time when I thought that on Instagram, you could only upload photos that are made with a smartphone’s camera. But then I realized that if Instagram wanted to upload only that kind of content, they wouldn’t give the possibility of uploading a professional camera photo or video, or even a graphic design. So then I changed my mind. If you can create a valuable piece of content that your followers love, post whatever they like. This is why I also recommend you to use text in your visuals. It doesn’t matter if you are an entrepreneur who wants to inspire and motivate his followers, or if you are a business who wants to show some info about the industry or even a non-profit organization who is using this type of content to connect with their followers. I believe that using great text is a really interesting Instagram post idea. 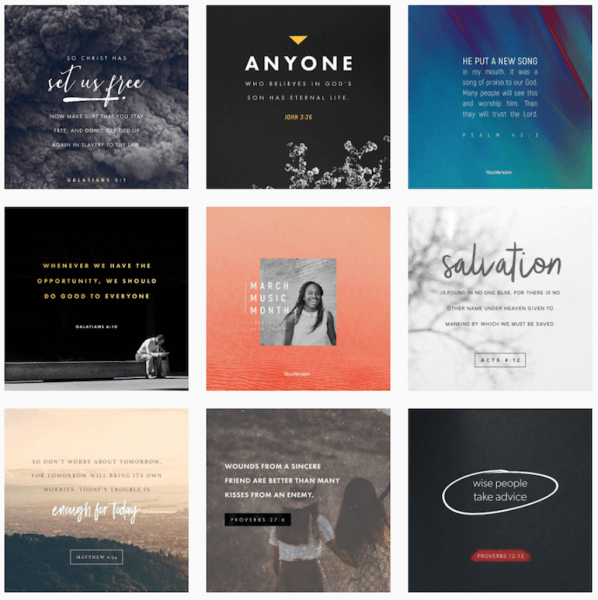 The guys from Youversion do a good job posting this kind of visuals. What if your brand is a little bit boring and you are selling only one type of products? For example, let’s say that you have a small business who sells only one type of red cup for coffee and you can’t photograph only that kind of cup every day. So why not giving it a scene and put it in different contexts? In lack of Instagram picture ideas? No problem. There is still a solution. 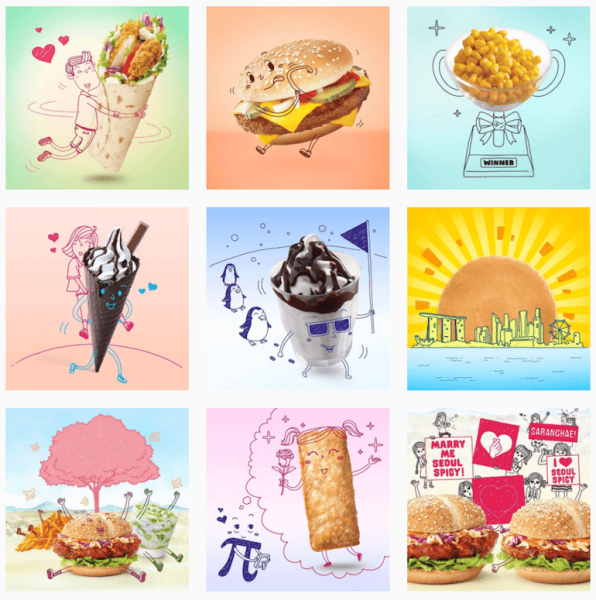 I love how McDonald’s Singapore uses illustrations to showcase their products on their Instagram feed. You can see moments when an ice cream is playing with penguins, or when a Cheeseburger is an alien. Well, it makes you follow them only for the next story they will publish about their Hamburgers, right? 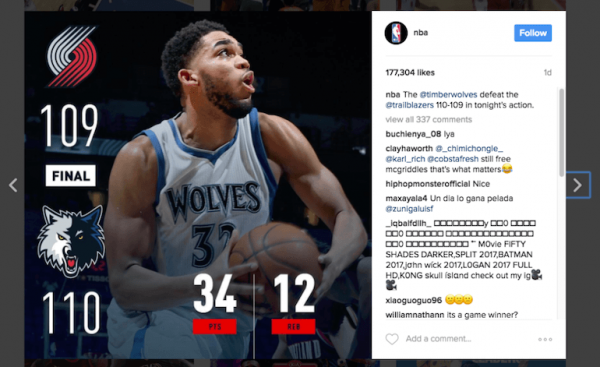 When Instagram launched their new feature which lets you upload multiple photos and videos, I made a bet that NBA will use it to promote the scores from their games. And this is exactly what happened. They are creating albums with photos and videos with from the games. It’s a good way to stay updated if you don’t have time to chill and NBA. In this overcrowded world, we need a little bit of minimalism. I found this posting idea a really interesting and courageous strategy to have a good Instagram feed. 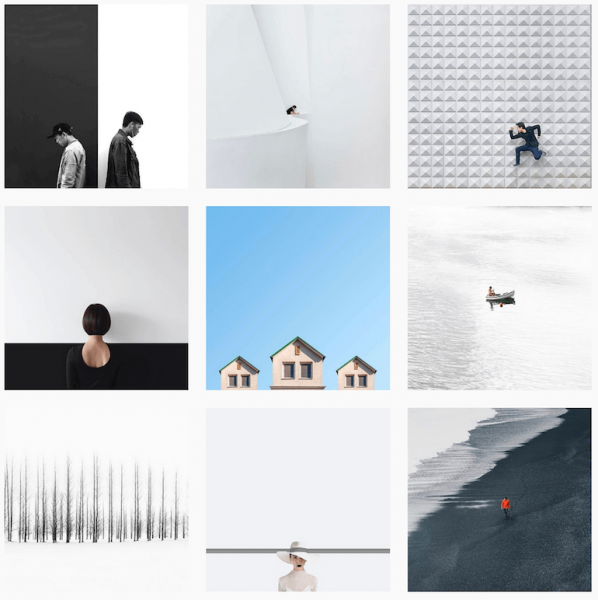 If you are interested in minimalism ideas on Instagram I recommend you to follow @minimalism for their really cool simple, white space photos that are curating on Instagram. 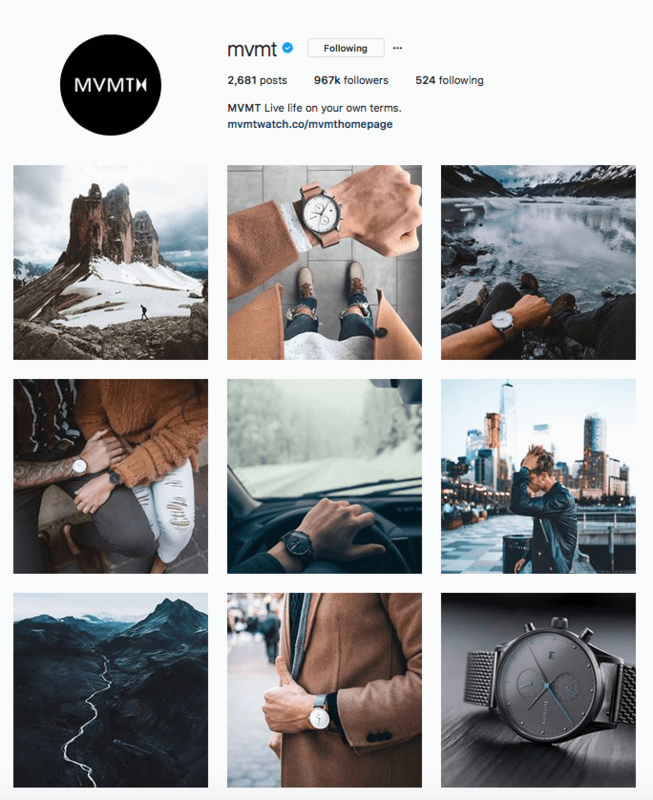 Also, if you are interested in other Instagram feed ideas about this style you can check out this article where they feature 17 accounts to follow. Go for photos with white background, few elements, and perfect black and white symmetry to make your own Instagram a minimalist one. White borders are a cool way to make your feed stand out without losing the composition of your images. Alternate your content to make the white borders create a cool pattern that gets noticed. 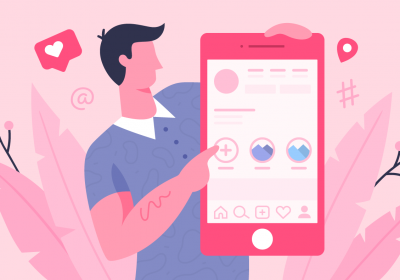 So if you don’t know what stuff to post on Instagram, here are a few examples that can help you create the perfect Instagram feed for your brand. Even more, it’s not about what you publish, but about the strategic part behind your feed. 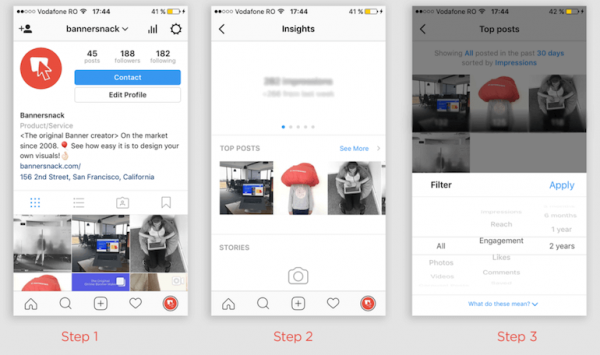 Having an idea about how your Instagram feed will look like will also help you save more time knowing what to post next. Think about this, you’ve already posted a photo that is starting looking close to your brand colors. And after you hit the “New Post” button you think that your job here is done. I recommend you to prepare your next photo. Just choose the ones you want to post, edit your photos using the Instagram native tool and save them in drafts. You can also use a preview app to check out how your posts will look like, and an editing app to make sure you get the most out of your Instagram pictures. So this will help you save you more time, energy and will also challenge you to think further about your next Instagram feed idea. This is a request that I’ve heard many small business owners and also marketers ask for on my Instagram Feed. And I admit that before I had my blog redesigned, I also wanted to post it on my personal blog. Why? Because it’s my work and I wanted to make people that read my articles, to know that I also have a very active Instagram feed. If you want to post just a single photo on your website, even if it’s in a blogpost, you just have to open the photo on desktop, right click and then select the embed button. Then, what you need to do is to copy the code and go to your website and paste it wherever the HTML text box is. And now you have one single photo from your Instagram on your website. You can also embed others photo on your website using this option. Here is an article that shows you how to do it. If you have a WordPress website and you want to embed the Instagram feed in a post, you just have to download the Instagram feed plugin and optimize it on your website. 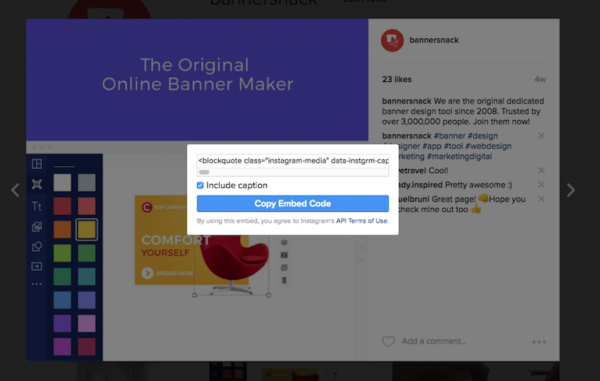 Then when you create a new blog post and you want to publish your entire Instagram feed, you only have to use the shortcode [Instagram-feed]. But for more about this option, I recommend you to take a look at this article. Having an Instagram account is not such hard work as it may seem. But when you have a great strategy behind and you want to get to the results you want, then you have to work a little bit. So here are a few ideas that will make your Instagram feed look good. I hope you get your inspiration from this article to learn and practice on how to have a good Instagram feed. Now let me know which one of these Instagram feed ideas you will approach for your account! Robert Katai is the content marketing manager of Bannersnack, a professional banner creation app for designers and marketers. His work was featured on Adweek, Entrepreneur, Marketing Profs, Content Marketing Institute and other places. Sometimes people get it wrong focusing on how it all looks, but it’s also about the strategy. I use Plann (have you seen the app? It’s awesome!) to make sure I get my strategy just as good as the images. We do! It’s a pretty powerful app, isn’t it? :) Thanks for your comment! Rather than just letting you embed your Instagram feed it quickly lets you build a custom site that’s powered by your Instagram feed. You just login using your Instagram account, then you can select from a number of layout, typography and colour schemes. Once your happy you can then connect your domain name. I also liked the paragraph dedicated to “How to Embed an Instagram Feed on your Website” . Nevertheless I think that the embedding with “Instagram code” doesn’t give you sometimes the flexibility to adapt the Instagram feed to website theme. Awesome tips. I’m trying to plan my insta feed and i can’t wait to try out some of these feed ideas.